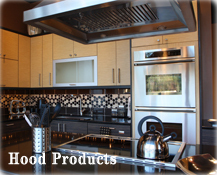 We’re American Hood Systems – the exhaust hood specialists. We specialize in clearing the air by offering the finest quality Exhaust Hoods, Supply Fans, Exhaust Fans and Fire Suppression Systems. Fastest delivery time in the industry and guaranteed to pass code.